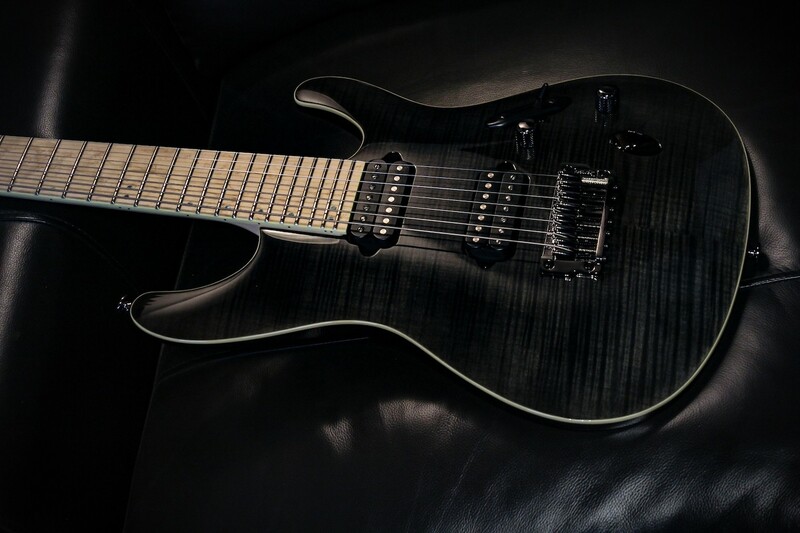 Ibanez S6527MFFX Prestige Black Haze 7-String Axe Palace Limited Run. Only 12 of these are being made available, now in stock and shipping! 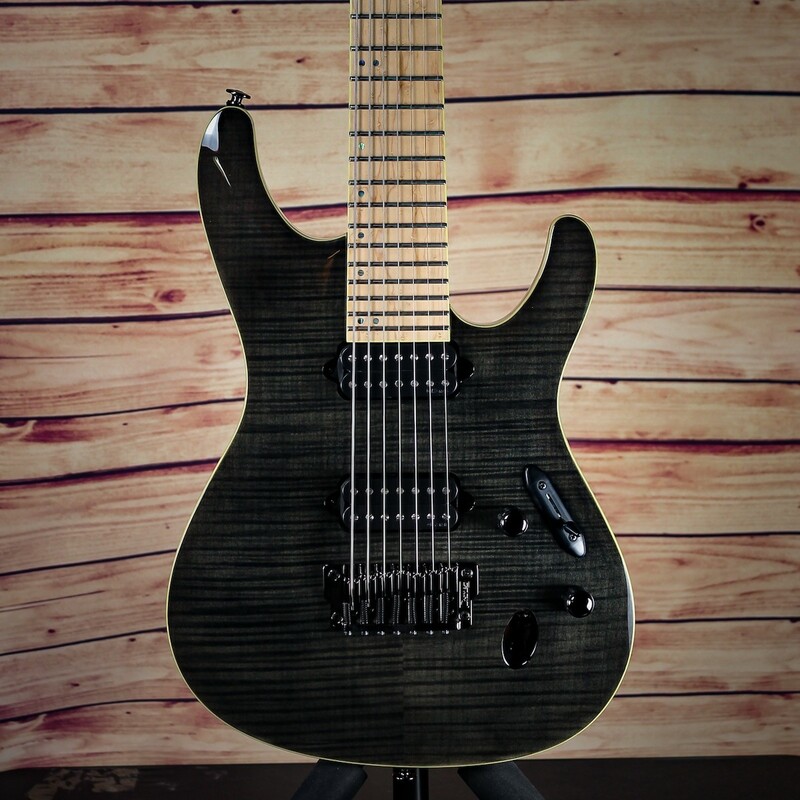 We are delighted to announce our 5th Axe Palace exclusive limited run Ibanez Prestige 7-string - the S6527MFFX in "Black Haze". This is a great opportunity to own a custom spec'd Ibanez like you have never seen before from a shop renowned for high-end innovation. 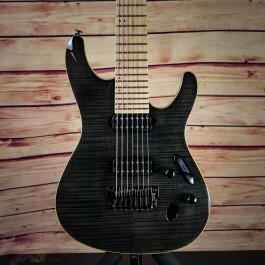 This beautiful instrument features a premium Flame Maple Top, Birdseye Maple fingerboard with off-set Abalone dot inlays, light-weight Mahogany body, Gotoh Locking Tuners, 5pc Maple/Wenge neck, Ibanez fixed bridge (or optional Hipshot). DiMarzio Fusion Edge pickups (or choice of optional upgrades), and so much more. These guitars are completed and now shipping! Only 12 are being made available. This is our first ever "S" series limited run model, and can't wait to get these in your hands! 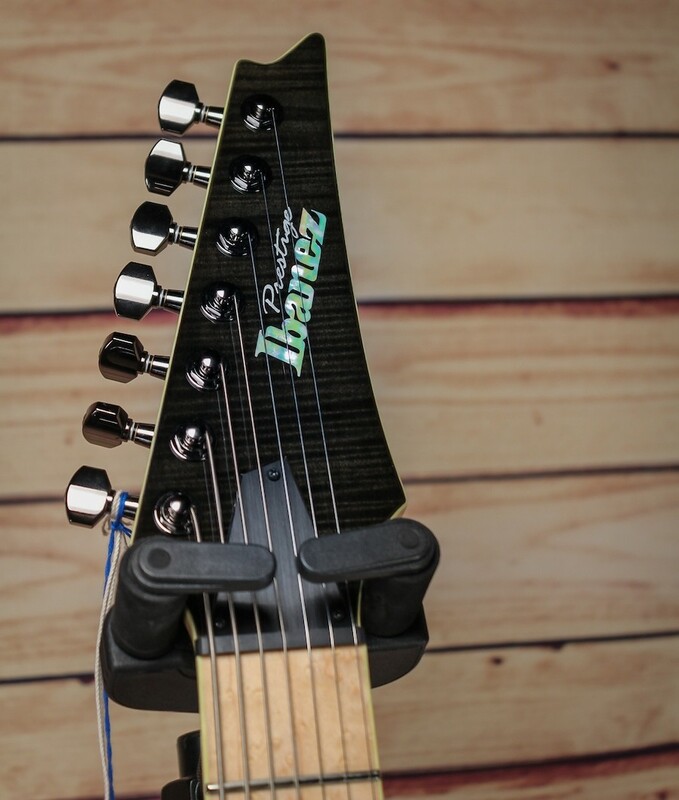 All our Ibanez guitars come with a FREE professional "Deluxe" setup tailored to your individual tuning and string gauge preferences. 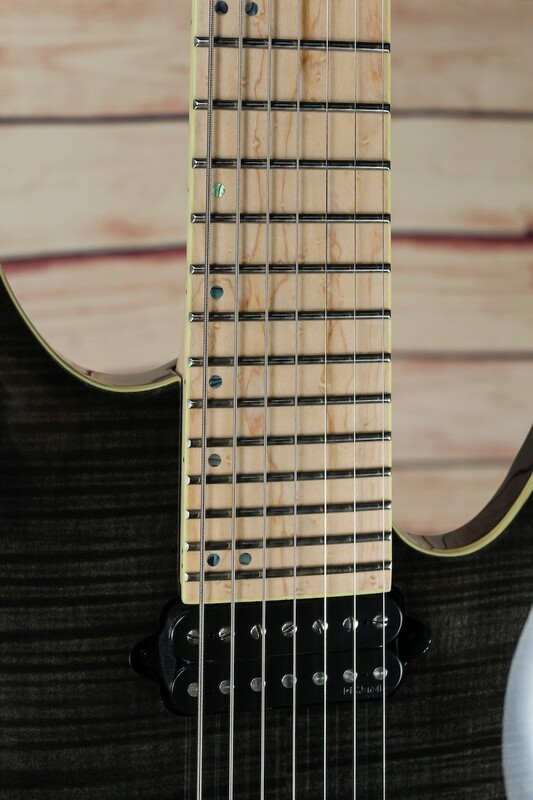 The deluxe setup includes: action, intonation, trem angle, truss rod adjustment, smoothing out fret-edges (if needed), addressing any nut or bridge shim issues if needed, polishing the frets if needed, as well as fingerboard conditioning. In other words -- the works. All from our experienced luthier/tech who does incredible work and understands what today's players demand from their instruments.